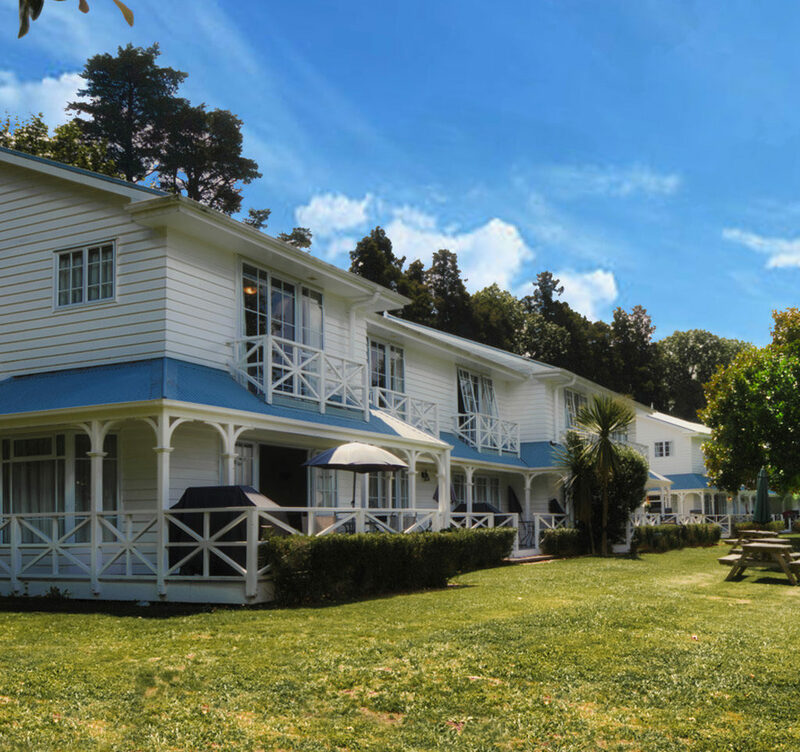 Okawa Bay Resort really is like a home away from home. The Resort provides all the comforts you could wish for. In every unit there is a full supply of linen, crockery and kitchen equipment for six people. In addition, a washing machine, dryer, dishwasher, microwave, Sky TV and DVD player are in each villa. All villas deliver gorgeous lake views, over expansive lawns and gardens. Each villa is designed to look out over the lakefront, with a private boat launching ramp and marina just metres from the front of your apartment. Okawa Bay is the ideal spot to cast your line in the water. For boating enthusiasts there is a boat ramp and free marina berth for your stay, there is a water ski lane right beside the resort, and of course, the famous trout fishing of the region right on your doorstep! There are also free kayaks and mountain bikes, and plenty of charter boats to hire. Scenic walks surround the area, there are tourist attractions in Rotorua ranging from Whakarewarewa, Rainbow & Fairy Springs, many lakes and thermal attractions, eco-tours, golf, the Agrodome, Buried Village to name just a few. Or you may find it so peaceful in Okawa Bay Resort that you just relax on the balcony with a good book listening to the lapping of the waves and the birdsong.